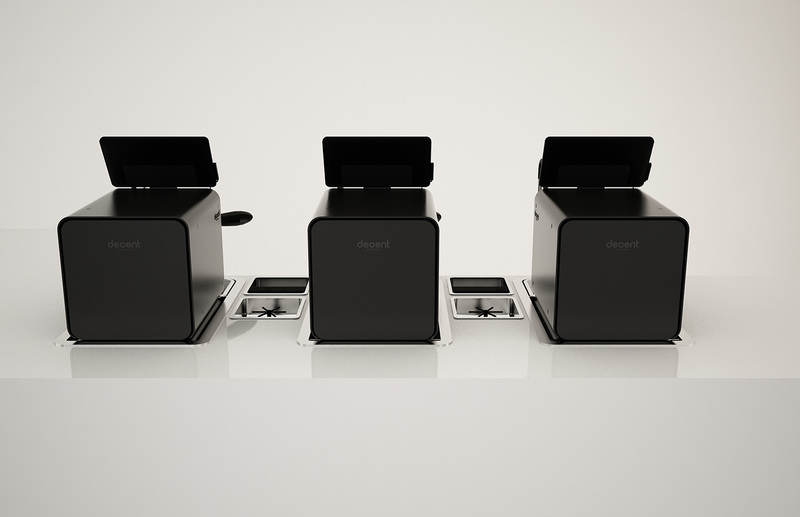 For information about all our models, read about the DE1PLUS. Instant on espresso, steam and hot water. Tablet programs for single-touch Americanos. Many user interface improvements for faster operation. 220V version features a custom-design steam heater with 63% more power than the DE1PRO. Note: you can steam immediately after your espresso is made, but not while the espresso is being made. Timed steam function allows you to quickly create good foam for a few seconds and then let the machine finish heating and fining automatically. 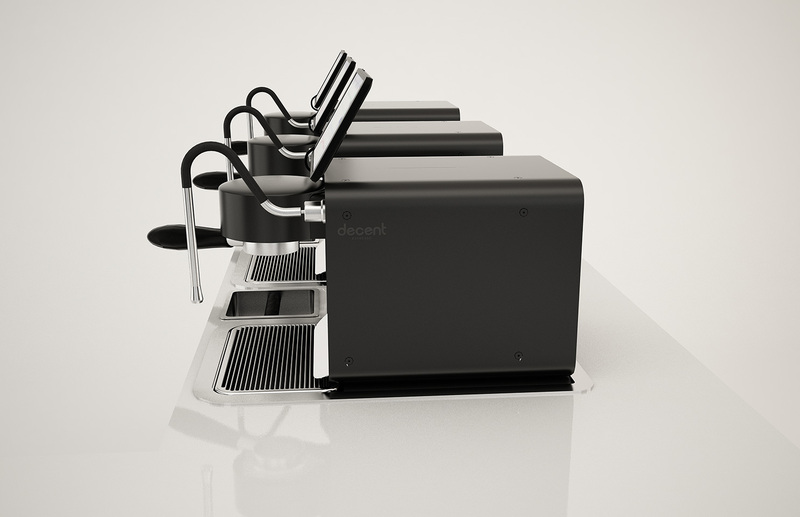 Unlike our other models, the back of DE1CAFE features a clean panel with no electrical or water connections visible. Our other models must be placed against a wall, as their wiring and water connections are on the back of the machine. 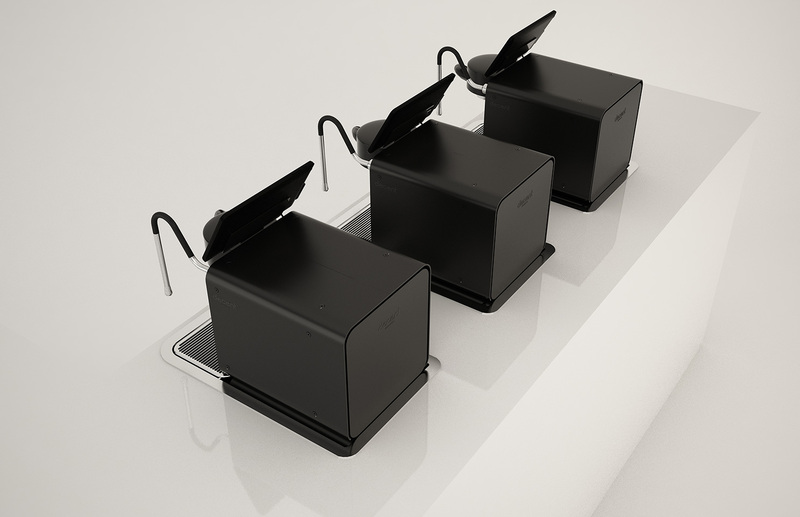 A front-mounted push button switch lets you visibly put the machines on low-power, cool standby. 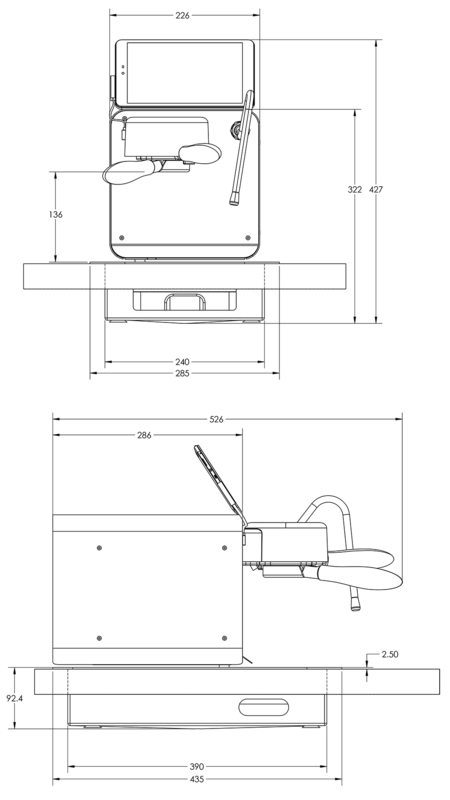 The tablet is physically attached to the espresso machine and cannot be easily removed. Includes steam wand tips in single-hole, four-hole, and blade shapes. Steam power can be adjusted for different volumes of milk. 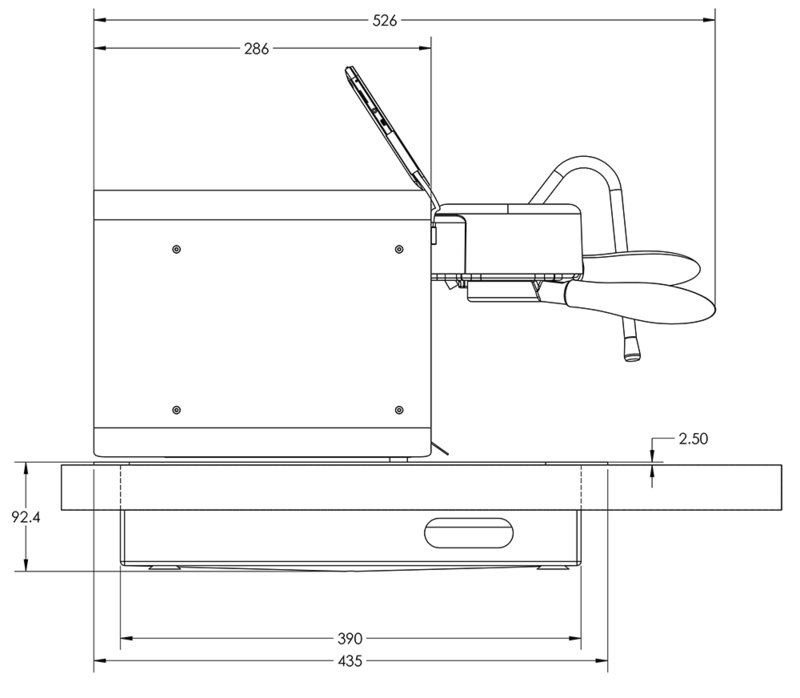 Optionally connect to pressurized or unpressurized water sources. Or use stand-alone. Extends beyond the countertop for easy insertion of a milk jug. Works well with even 1 liter milk jugs. Steam wand can be positioned by you for optional hands-free steaming. Entirely cool-touch, and also features an extended silicone-protected grab area. Only 22cm (9 inches) tall without the tablet, 32cm (13 inches) with the tablet. Promotes conversation between the customer and your barista. Each machine is totally independent, so that you can add group heads as you need them. 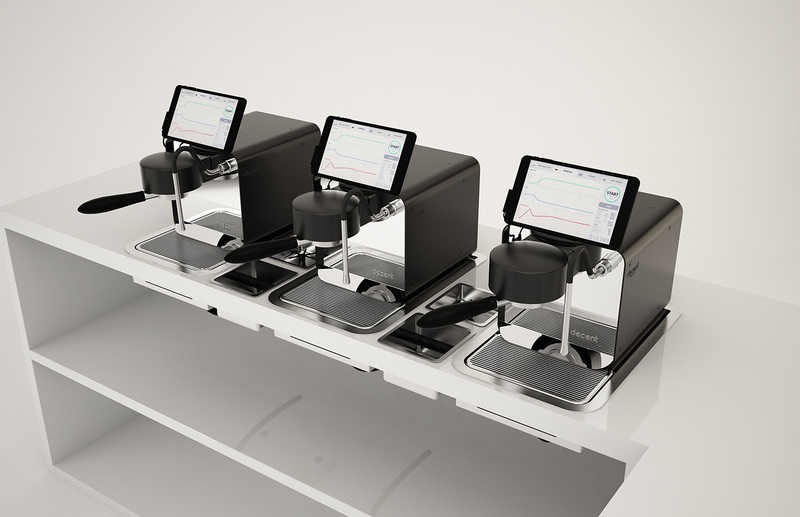 Unlike traditional multigroup espresso machines, one group head failure will not bring your business to a halt. 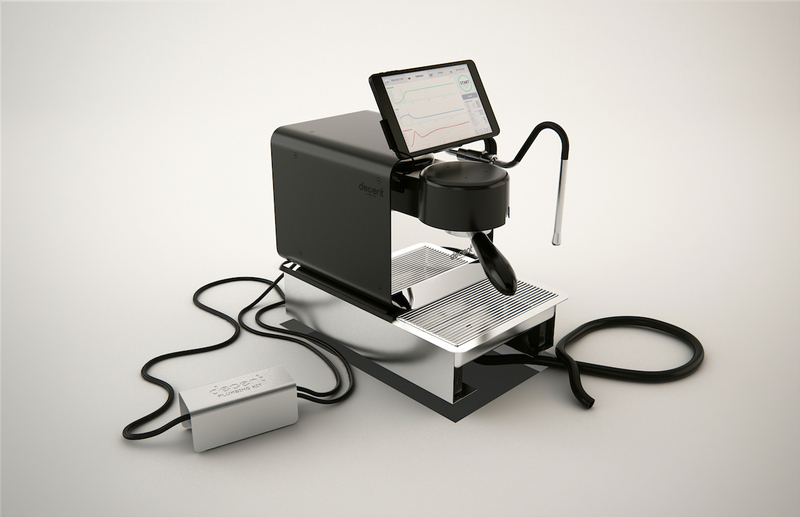 If one of your DE1CAFE were to stop working, you simply pull it out of the counter and mail it to us (or use a local repair service) to have it fixed. If you have a spare machine, just fill-in the gap.. 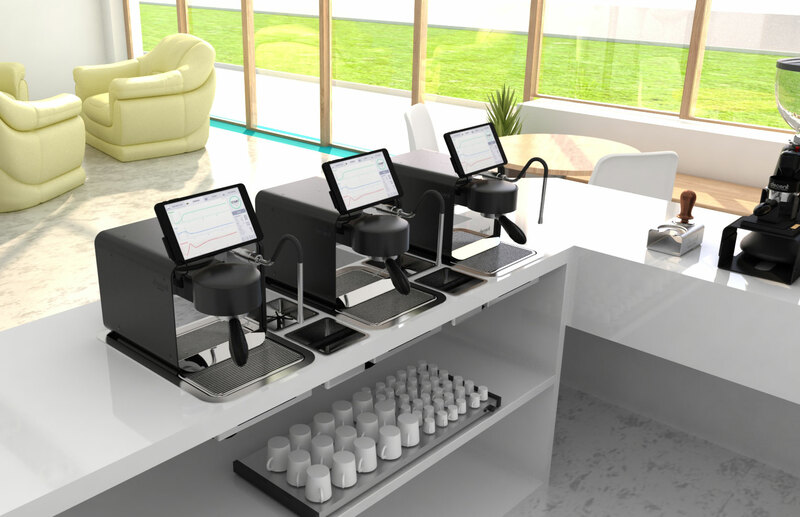 If not, your business can still keep serving coffee to clients with the remaining machine(s). 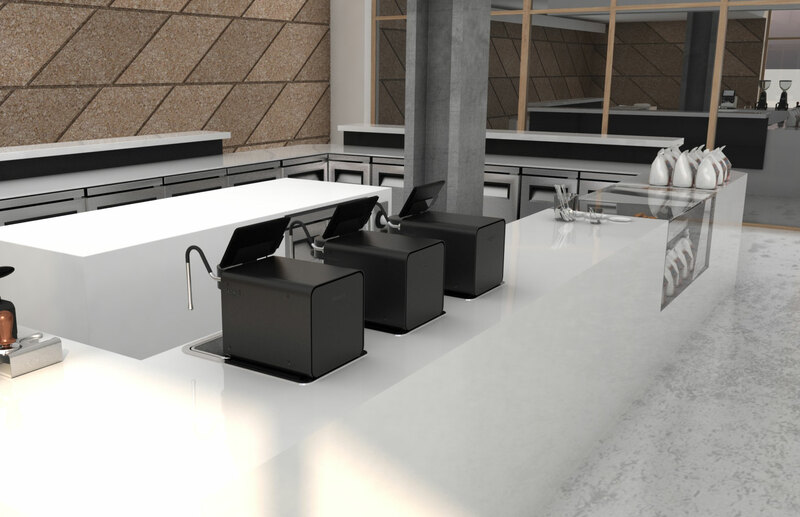 A rectangular hole in your counter accepts our bracket, into which the DE1CAFE sits. Extremely clean, strikingly modern design. 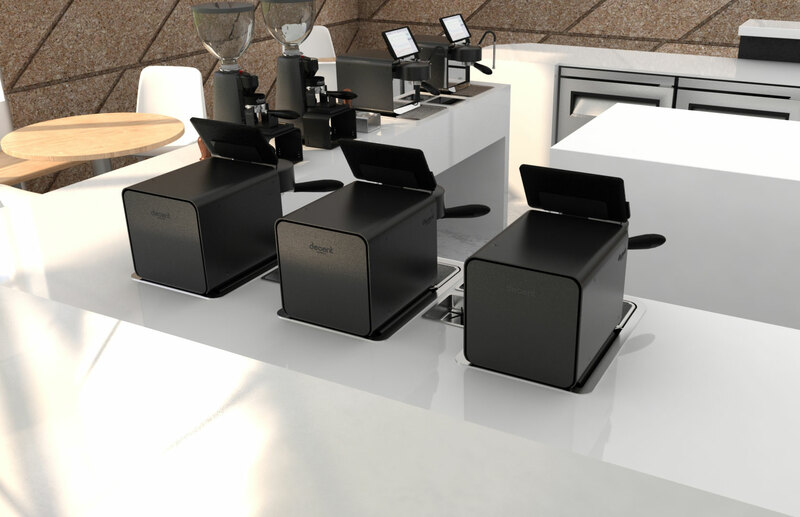 You can also choose to not counter sink the DE1CAFE, and have it sit on your countertop instead. All plumbing and electrical connections are hidden. The rear panel pivots open for easy hookup and maintenance.